With improving supportive care, elderly patients may benefit from high-dose chemotherapy with autologous stem cell transplantation. 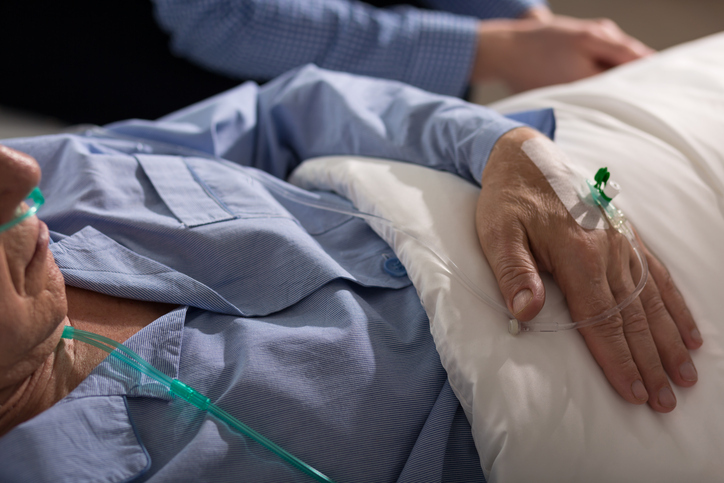 High-dose chemotherapy and ASCT may cure patients with relapsed Hodgkin or non-Hodgkin lymphoma, though the toxicity profile led to elderly patients (over the age of 60 to 65 years) being excluded from this therapy. With improving supportive care, these patients may now benefit from ASCT. For this retrospective review, researchers evaluated survival and toxicity data for patients aged at least 70 years who underwent ASCT for lymphoma. Of 119 patients identified, data for 107 were reviewed. The median age at ASCT was 72 years (range, 70-79), 62 patients had diffuse large B cell lymphoma, and 84 had 2 or more chemotherapy regimens prior to ASCT. The median follow-up was 20 months. Patients had a 100-day non-relapse mortality (NRM) rate of 2%, a 1-year NRM rate of 5%, a 2-year NRM rate of 7%, and a 5-year NRM rate of 13%. The 1-year, 2-year, and 5-year relapse rates were 30%, 34%, and 40%, respectively. The 1-year overall survival (OS) rate was 65%, the 2-year OS rate was 58%, and the 5-year OS rate was 47%. Three cases of early mortality were noted, which were due to rapid progression, treatment-associated acute myeloid leukemia, or multi-organ failure/sepsis. Of the 43 late mortality cases, 31 were due to relapsed disease, 5 were due to infection, and 3 were due to organ failure. The most common toxicity was infection, which was noted in 24 patients. The researchers noted that patients who received ASCT between 2000 and 2010 were at a far greater risk of NRM than those who received ASCT between 2011 and 2016 (hazard ratio, 6.54), which may reflect general improvements in medical practices.